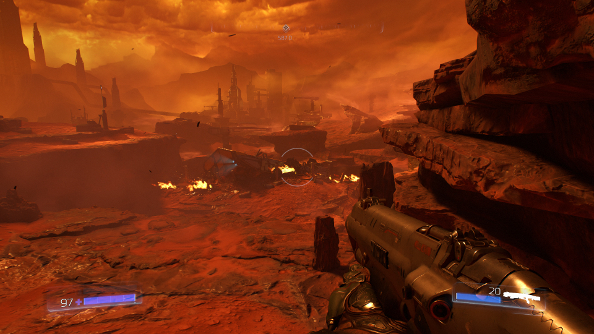 Doom has returned, slinking out of a Martian hellscape and onto PCs today. It’s a blisteringly fast – by the standards of today – shooter, and for all its flashy advances like weapon upgrades and brutal melee finishers, it’s still evocative of the speedy, comically violent shooters of the ‘90s. 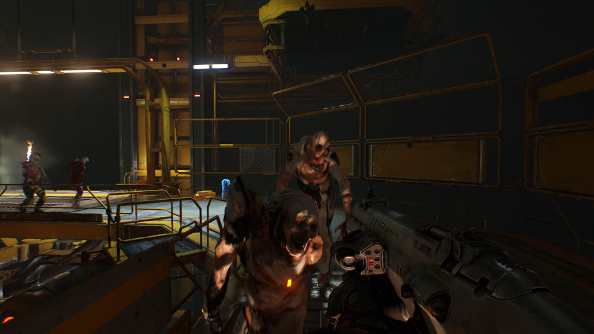 Will Doom earn a spot on our list of the best FPS games on PC? But is it a good PC game? That’s what I’m here to answer, dragging myself away from my quest to punch every foul-looking hellspawn right on the kisser, or at least whatever they have in place of it. It’s all good news, really. 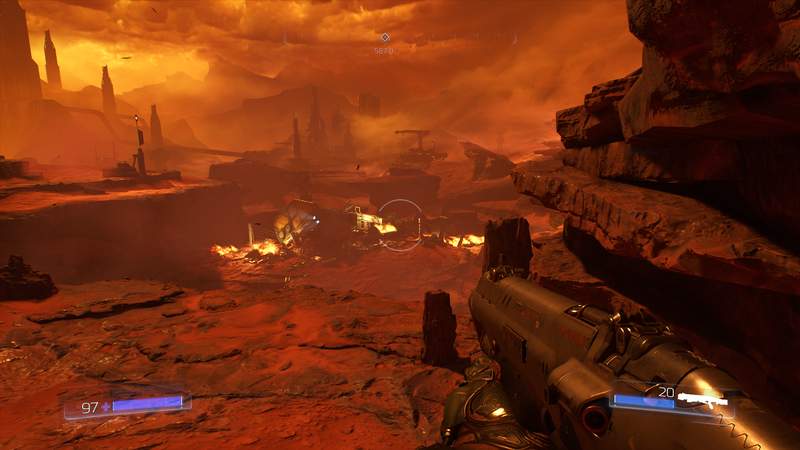 Doom gets off to a good start with a long list of graphics and video options that run the gamut from mainstays like lighting and shadow quality, to a separate anti-aliasing setting for depth of field. In the advanced section alone there are 22 options available to tweak, as well as presets that range from low to ultra. There are more things to fiddle around with in the video section, like a field of view (hooray!) slider that defaults to 90 and the options to turn on colourblind mode and reduce or turn off motion blur. Let’s take a look at the impact of these settings, and remember to click on the images for the large version. Even if you’re using the ultra preset, you’re still going to want to head to the video options to change the anti-aliasing technique, depending on your rig (there are seven options from off to temporal super sampling anti-aliasing), since the presets don’t change AA. And it’s worth noting that the ultra preset doesn’t crank up the settings to max in the advanced menu. 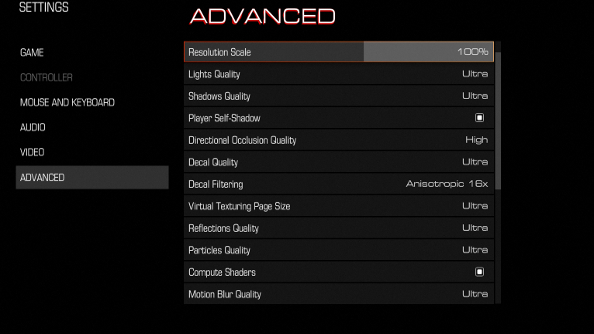 Anisotropic filtering can still be increased beyond the ultra setting of eight. With vsync on, I get a buttery smooth 60fps, but turning it off to take advantage of my 120Hz monitor sees the framerate jump up significantly. When nothing is going on, it can reach 100fps and beyond, but mostly ranges between 80 and the mid 90s, only going down to the 70s when there’s a horde of demons and explosions going off everywhere. On high, the drop in quality is hard to spot, and while a static image reveals the reduction in lighting and shadows, when you’re racing through the battlefield, you won’t really notice it at all. With slightly reduced AA, there’s an obvious performance boost. Outside of the action, it often sits comfortably at 100fps, sometimes getting up to 120, and it generally sticks to 80-90fps, during intense firefights. Switching to medium, the differences are more obvious. You’ll be able to see that the image isn’t as smooth, looking increasingly unnatural, and effects like fire and dust are diminished. But, again, the reduction in quality is a lot less obvious during play, and ultimately it’s still got that over-the-top art direction to keep it looking striking. It’s while using the medium settings that I was finally able to get a framerate that’s consistently above 100fps. Indeed, even in the middle of the action it manages to stick to 100-120, while it pushes past 120 when things are a wee bit more chilled out. Using the lowest settings and only FXAA, we can see Doom at its ugliest, but there really isn’t that much of a gulf between this and the previous graphics settings. Ignoring the obvious lack of realistic lighting, you’d really have to stare for a while before you figured out what had changed. Obviously this is where we get the best performance. Even when all Hell breaks loose, it almost never dips below 110fps, generally hovering around the 120 mark. When things aren’t quite as chaotic, it can jump up to 140fps. These numbers all come from the single-player campaign, but performance is even better in multiplayer. Depending on the map, you might see an increase of around 10fps – so using the ultra settings, I was getting around 90-100fps. A slew of practical settings can be messed around with as well. I’ve already mentioned the FOV slider and colourblind mode, but there’s also a lot you can do with the HUD, reducing or turning off the clutter entirely. If you fancy a challenge, you can turn almost everything, including the crosshairs, off entirely. Onto controls! If you’re using mouse and keyboard, which you probably will be, you can rebind the keys, invert the axis, and increase the look speed. There’s no in-game option to turn off mouse smoothing (which I honestly didn’t notice anyway), but you can make that change in the Steam launch options by adding this line: +set m_smooth 0. 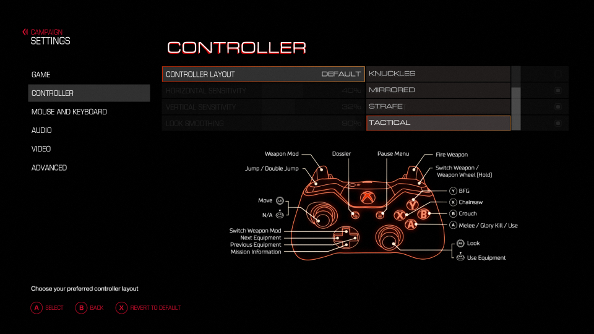 If you do fancy playing Doom from the comfort of your sofa, you won’t be able to rebind controller buttons, but you can still choose a layout from a surprisingly broad list of six. Despite being multiplatform, Doom absolutely feels like a game designed for PC, with a massive list of options waiting to be tweaked, allowing it to be played on a wide range of rigs. If you hit the minimum requirements, I can’t fathom why you wouldn’t want to pick this version.